They say it takes 10,000 hours to master a new skill, which roughly equates to about 10 years. I think it takes just as long to build a really good network, and master the art of unconscious coupling (to deliberately mis-quote Gwynth Paltrow). Networking is index linked to productivity, so says Julia Hobsbawn, founder of Editorial Intelligence, and who is presenting a Radio 4 documentary series called Networking Nation which started today. I recently had an opportunity to talk about networks with here at an event as part of the excellent Year Here programme, and I was intruiged to hear her say that the world has become lateral and would crush us if we didn’t build better networks. Ask people to introduce you – People love to connect other people but make sure you explain what’s in it for them, and not just what’s in it for you. Be interested and interesting – Try to avoid asking people “what do you do?” for as long as possible. Nobody really knows what each other does these days. Instead try to find what drives them and ask them about that. Communicate clearly and often – remind people you exist through whatever communications channels that work best for you – little and often is best, and whatever you do avoid acronymns and jargon as they are the enemy of effective communication and collaboration. Stay in, until you are out – say yes more than no and avoid closing down opportunities for as long as possible – it’s the best way to learn and find new opportunities. Look for opportunities to be helpful quickly – the sooner you can help somebody out with some information, or an introduction, or some resources, the greater the dividends in the long run. Build up your “brownie points” and keep tabs on how many you have got, and how many you owe. It took me years, or up to 10,000 hours, to realise how important and powerful your network can be. Now it’s my primary professional asset as an individual, our primary asset as a company (100%Open), and arguably our primary asset as a country in the UK according to Julia Hobsbawn. 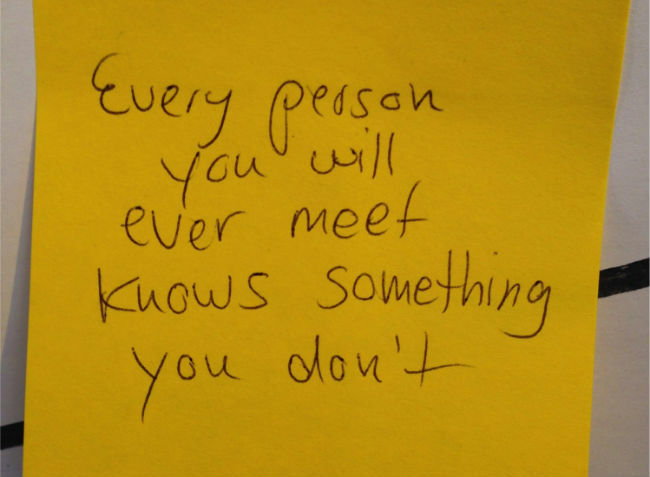 I am frequently amazed how chance encounters and connections happen all the time, if we know how and where to look. And not only is it possible to connect to pretty much anybody and anything, anywhere and at anytime, it is increasingly necessary in a globalised world. So as Valdis Krebs says, let’s “connect on our similarities, and benefit from our differences”.